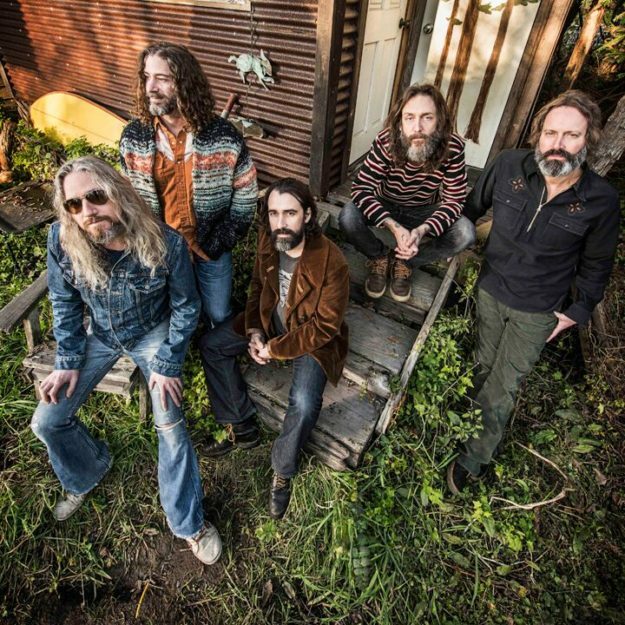 The Chris Robinson Brotherhood (photo courtesy of Vail Valley Foundation). Vail, Colo., January 23, 2018 — With nine different sports, more than 25 events, live concerts and more than 70,000 spectators, the 2017 GoPro Mountain Games were the biggest and best yet, but organizers today announced a lineup to the 2018 GoPro Mountain Games that ought to take the event to an entirely new level when it gets under way June 7-10 in Vail, Colorado. Vail Valley Foundation organizers are kicking off registration Jan. 26 at 4 p.m. online or in person at the GoPro booth at Denver’s Outdoor Retailer, giving athletes a chance for a 10 percent extra-early-bird discount if they register in first 24 hours of launch, as well as a good reason to start training for any of the numerous events offered at the Mountain Games; including the GMC Ultimate Mountain Challenge, the 10K Spring Runoff, the EverBank XC Mountain Bike, the YETI SUP Surf Cross, the Costa 2 Fly X-Stream fly fishing contest, the GMC Downriver Kayak Sprint, a full slate of yoga offerings, and much, much more. With climbing slated as a new event for the Tokyo 2020 Olympic Summer Games, the eyes of the world will also be on the GoPro Mountain Games’ World Cup climbing competition, the only IFSC World Cup held on U.S. soil. Citizen climbers can sign up to climb and compete at the very same venue as the 2020 Olympic hopefuls and future Olympians. Not just in climbing, but also in trail running, kayaking, SUP, mountain biking, cycling, and endurance competition, the world’s best mountain athletes are once again expected to gather in Vail for this renowned celebration of sports, music, and culture. Athletes can find the event that’s right for them and register for most Mountain Games events at www.mountaingames.com. More events open March 1, and additional news, updates and announcements are expected throughout the spring as the event takes its final shape. The Vail Valley Foundation also revealed a first look at the lineup for the FREE GoPro Mountains of Music concert series, which will fill Vail’s Gerald R. Ford Amphitheater with music and vitality in the evenings after competition. Chris Robinson, known for his front-man role with The Black Crowes, kicks off the weekend of free concerts together with The Chris Robinson Brotherhood. The Playing for Change Band, a worldwide collaborative of musicians with tens of millions of views on YouTube, plays Friday and Saturday night; the 8-piece Alabama soul-funk group St. Paul and the Broken Bones headline Friday night and Nashville’s dynamic rockers The Wood Brothers headline Saturday night. Spectators, families, and dog-lovers will also love the Mountain Games’ new venue layout, which will provide a more spectator-friendly and spacious location for the always-popular DockDogs competitions in Lionshead. Kids’ Adventure Village will move to Golden Peak. Kids’ Adventure Village features a wonderland for families with kids of all ages, and will include a new set up for the always-popular kids’ climbing wall, kayak tank, stand-up paddleboard (SUP) tanks, games, crafts, and more. The GoPro Mountain Games is the world’s best all-around mountain experience anywhere in the world, and has brought arts, athletes, music and mountains together in Vail, Colorado since 2002. The event is known as the unofficial kick-off to summer, and takes place July 7-10 with action centered in Vail Village and Lionshead, with additional action and events in nearby Red Cliff and Eagle, Colorado. For more information visit www.mountaingames.com.